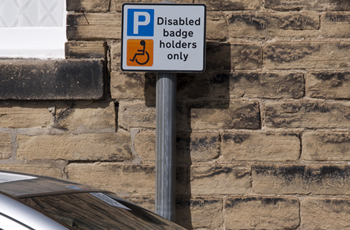 Able is delighted to announce that we have been successful in the recent re tender exercise for the Contract for the Blue Badge Scheme Independent Advisory service for Wales. We very much look forward to continued work and development for this service. We are able to provide a desk based assessment process, for all applications received by yourselves that are not automatically eligible. We have designed an application form and a screening form which is used for all desk based assessments to ensure that all applicants are dealt with in a consistent, professional and equitable manner. Testament to the success of this process is the fact that we only refer 12% of applications received at this stage of the process for a face to face assessment. Our Independent Mobility assessors regularly complete clinics where applicants require a face to face assessment, as part of the assessment at this stage the applicant is required to complete a walking assessment. A risk assessment of the venue used is carried out by Able 2 prior to the clinic taking place. The applicant is not advised of the outcome of the assessment at the Clinic. Applicants are advised that they are entitled to appeal against the decision if they so wish, and are advised of the process at the time of assessment. All of our assessments are audited by the commissioning authority to ensure consistency.